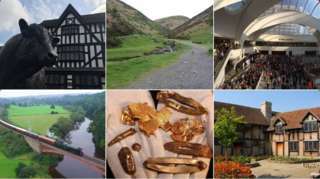 A 29-year-old man has been arrested after police were called to reports of "disorder". M6 Warwickshire - Lane blocked and slow traffic on M6 southbound from J4, M42 J7 (Coleshill) to J3, A444 (Nuneaton), because of an accident. M42 Warwickshire northbound severe disruption, from J7 for M6 J4 to J9 for A4097 Kingsbury Road Curdworth. M42 Warwickshire - One lane closed on M42 northbound from J7, M6 J4 (Coleshill) to J9, A4097 (Curdworth), because of Vehicle tyre change. Traffic is coping well. M40 Oxfordshire - One lane blocked on M40 northbound from J11, A422 (Banbury) to J12, B4451 (Gaydon), because of debris on the road. Traffic is coping well. M40 Oxfordshire - One lane closed on M40 northbound from J11, A422 (Banbury) to J12, B4451 (Gaydon), because of debris on the road. Traffic is coping well. 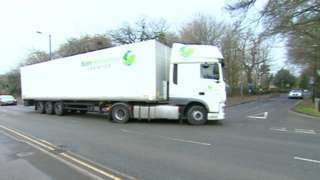 Residents say HGVs cut through their villages every day on their way to a new distribution centre. M40 Warwickshire southbound severe accident, from M42 J3A to J16 for A3400 Stratford Road. M40 Warwickshire - Stationary traffic on M40 southbound from M42 J3a to J16, A3400 (Henley In Arden), because of all traffic being temporarily held and a multi-vehicle accident. M40 Warwickshire southbound severe disruption, from J12 for B4451 to J11 for A422. M40 Warwickshire - One lane closed on M40 southbound from J12, B4451 (Gaydon) to J11, A422 (Banbury), because of a broken down vehicle. M40 Warwickshire - One lane closed and slow traffic on M40 southbound from J12, B4451 (Gaydon) to J11, A422 (Banbury), because of a broken down vehicle. 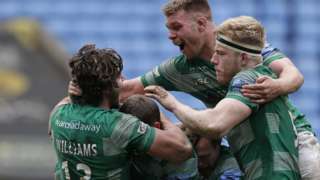 Premiership bottom side Newcastle give their hopes of avoiding relegation a huge boost after overcoming Wasps at the Ricoh Arena. M42 Worcestershire northbound severe disruption, at J3 for A435 Alcester Road. M42 Worcestershire - M42 lane closed on entry slip road northbound at J3, A435 (Redditch). Traffic is coping well. 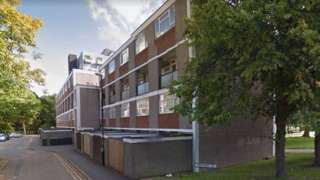 A man's been arrested after two men are reported to have forced their way into a flat and stabbed another man in the head. West Midlands Police says it happened last night on Lower Ford Street, Coventry and the victim suffered injuries which aren't thought to be serious. They say the two men are believed to have demanded a watch before the stabbing. The 20-year-old man they arrested on suspicion of assault is still in custody. Telford Tigers go into the final four games of the season, knowing they might have to win all of them if they're going to lift the league title. After a trip to Blackburn Hawks, they host title-rivals Sheffield Steeldogs on Sunday and head coach Tom Watkins said his side showed "huge heart and desire" in winning the second leg of the Northern Cup against the same opponents last weekend. The 3-1 result wasn't quite enough following a 6-2 defeat in the away leg, but Watkins said: "I think if we have the same mentality, desire and commitment then we give ourselves a chance." Coventry Blaze have back-to-back games against the Elite League's bottom side, Milton Keynes Lightning and after four successive defeats they need wins if they're going to climb up into the playoff places. Solihull Barons also have a game against the Steeldogs, travelling to Sheffield tomorrow, before hosting Solway Sharks on Sunday.